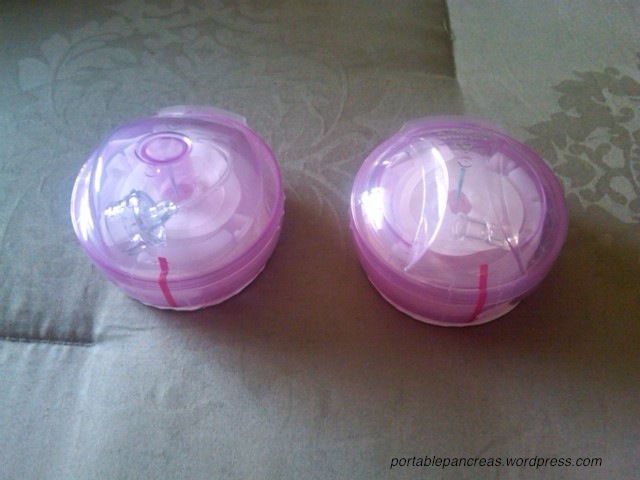 September 27, 2010 Animas, Insulin pumps, MinimedStacey D.
Some of you may already know, I am extremely fortunate to own both the Animas Ping and the Medtronic Revel insulin pumps. I’m not even quite sure how that worked out but I have both and do switch between the two. Some of you may be wondering which one is better and in my opinion they are both very good devices, each with their own “perks” as you could call it. One of the things I’ve always liked about the Ping is the Inset infusion sets. 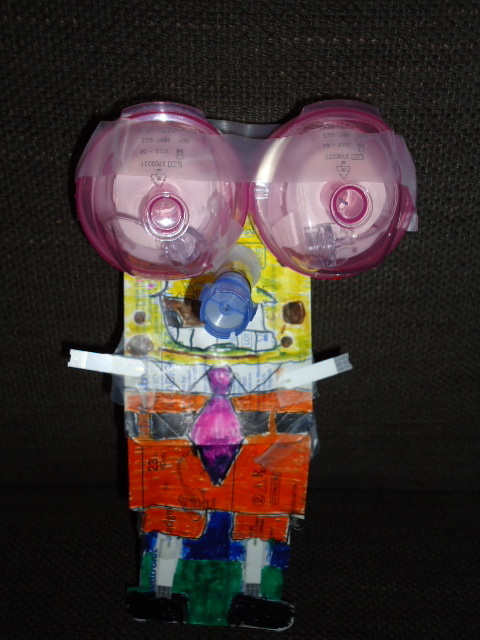 They are colorful, a bit smaller on your body and come in their own insertion device. I am one of those pump users who refuses to insert an infusion set manually. Despite the fact that I took injections for about 25 years, jabbing an infusion set into my skin just makes me shudder! All the years I used the Medtronic Quicksets, before using the Ping, I always used the serter device and had numerous in my possession in case one were to break. 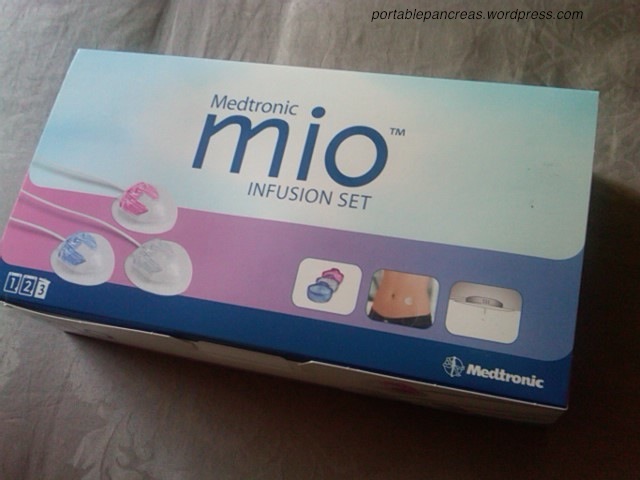 Then a few months ago, they introduced the Mio set which to me looked very similar to the Animas Inset. In the last order from MM, I got the Mios instead of the Quicksets and to be quite honest, they are exactly a replica of the Inset. The picture above shows the Medtronic Mio on the left and the Animas Inset on the right. See, they are exactly the same. Which for someone like me, is a good thing. The only differences (at least at the time I got them) is that Medtronic only offers the colors in the 6mm canula size where Animas offers both 6 and 9mm as well as Animas having an additional color to offer, green. 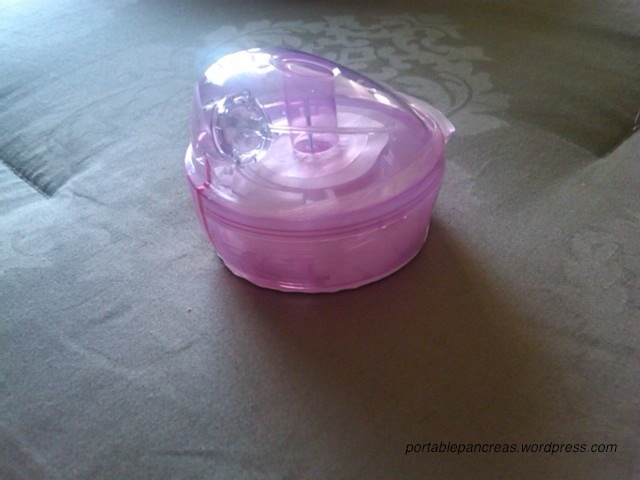 I was pleased with the new product and would recommend them to other Medtronic users. 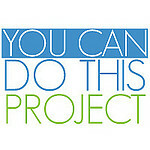 September 21, 2010 EndocrinologistsStacey D.
It’s been a hectic few days for me. My home area was hit with a tornado last Thursday evening, leaving us without power for three days. Joe and I spent the weekend looking after my niece + nephew which was the best time ever, but if you’re not used to having children in your care, it’s exhausting 🙂 Then the anticipated visit with my new endocrinologist this afternoon. 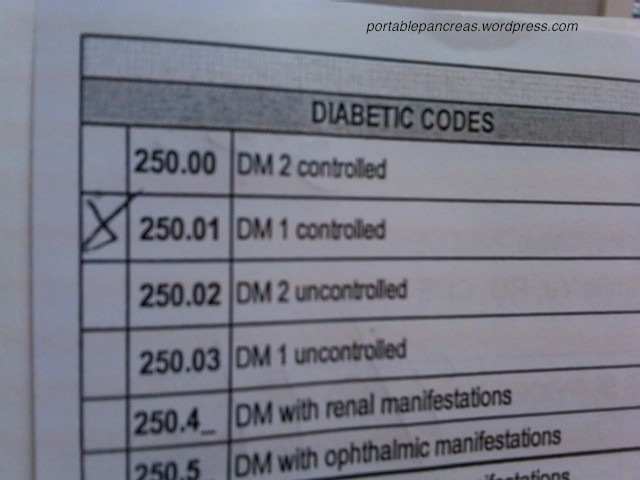 I think that is the first time I’ve ever been “classified” as a person with controlled type 1 diabetes! I don’t know the criteria for using the different categories but this was a first. And one that made me grin. But then I started to think what does controlled really mean? Sure my a1c has improved but do I still have high and low blood glucose readings? Hell yeah. One of the definitions of control in the dictionary is power to direct or determine. Do I necessarily feel like I have the power to direct or determine my bg? I certainly wouldn’t say so. Sometimes maybe but most of the time not. I guess I’m doing some things right since my status has changed and I will continue to do what I’m doing. 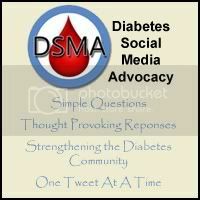 But what I’d love to know is type 1 diabetes really controllable by the definition of the word? 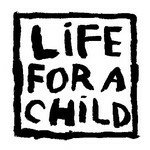 September 14, 2010 EventsStacey D.
This past weekend I had one of the most amazing experiences ever. 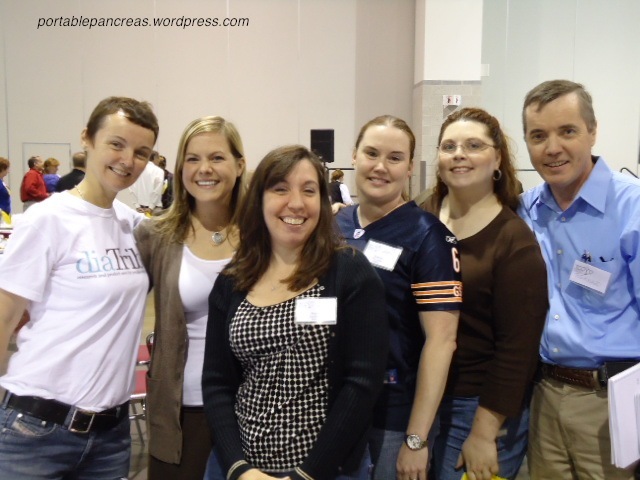 I attended my first ever TCOYD – Taking Control of Your Diabetes conference in Providence, RI. 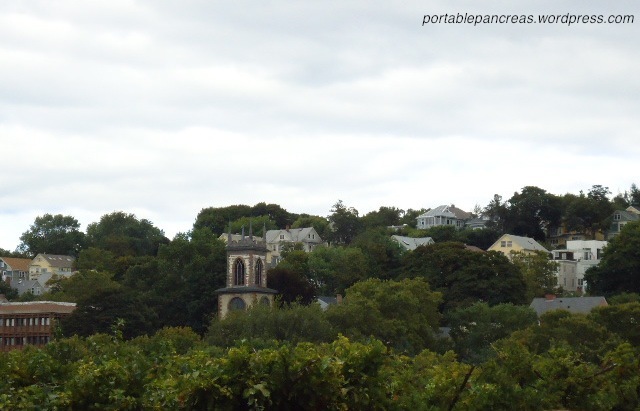 It was my first time to Rhode Island and the trip via Amtrak wasn’t bad at all. Tina and I got there the day before since it began pretty early on Saturday and I’m glad we did that since we got to see some of the city. 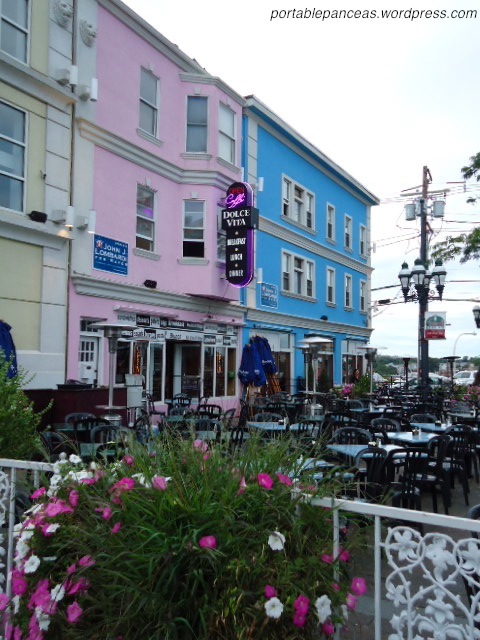 Or at least what’s around the conference center 🙂 We enjoyed a dinner up at Federal Hill after walking what seemed like forever to pick a restaurant. Since every other one was Italian cuisine, that’s what we went with. And it was a very nice place. We got up early on Saturday morning, watched the news for a bit since the big story was reflecting on the 9th anniversary of 9/11 and then we headed to the conference. I wasn’t sure what to expect. 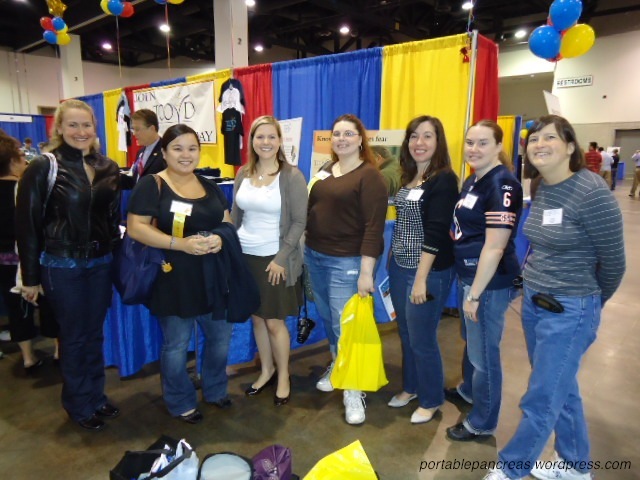 The first area we saw was the Health Fair which had many vendors of diabetes supplies setting up. It kind of reminded me of the ADA Expo in Jacob Javitz Center here in NY. But then we went in for the opening session. And listened to Dr. Steve Edelman give his presentation. And laughed. A lot. And so much of it hit home. This man’s presentation was probably one of the best I’ve ever seen. The following presentation was just as good and it made me so glad that I made the trip. I’ll be honest that I didn’t really learn much that I didn’t already know. But there is something so comforting, so reassuring to hear others who are living with diabetes talk about loving your life with diabetes and the quote of the day “Live first be diabetic second”. Also the guest speaker during lunch was has such a moving story that it made me want to go out and move mountains! I didn’t get to score any free goodies from any of the vendors since I pretty much have every latest gadget that’s out there but it was still nice to walk around and take a look at things and have a friendly talk with the Animas reps. What did make this day even better was the company I had throughout the event. I got to hang out with some pretty great people (beside Tina) like Kerri, Ashley & her cool dad, Karen & P, Bernard, Faye & Mr. Sugar Bump, Val & her hubby, Kelly and not to mention Charlie Kimball. September 9, 2010 UncategorizedStacey D.
I stole this from Kerri and I’m sure it may pop up in other D blogs too. Thanks Kerri! What’s your current blood sugar: 179. Low carb breakfast coming up! What’s your favorite low blood sugar reaction treater: Good ol’ soda. Probably not the most healthy choice but it works the fastest for me and doesn’t head my BG to the hills. I especially love the mini cans that I use at home. Describe your dream endo: One who works with you as a patient, is reachable for questions/issues, gives recognition when it’s due, realizes that every PWD is different and requires different management, is knowledgable about current & new options in management and is flexible with giving prescriptions when needed. I hope my new endo fits this bill!! What’s your biggest diabetes achievement: Getting my a1c under 7!!!! 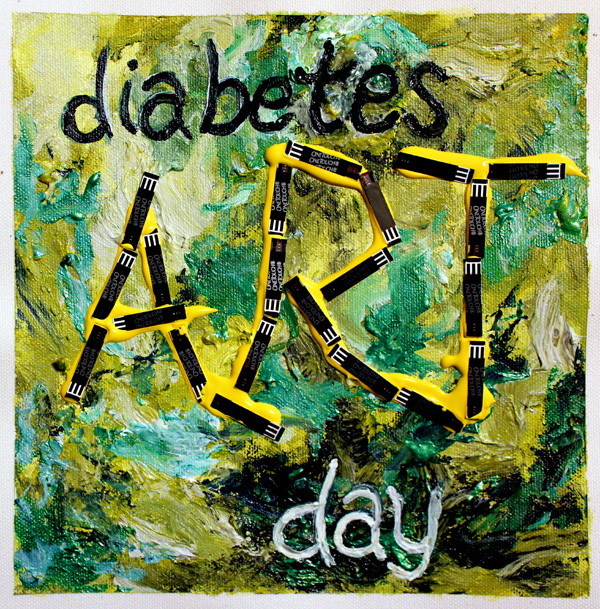 What’s your biggest diabetes-related fear: Any diabetes complication really. After seeing my father suffer from pretty much all of them, I don’t want any of them. 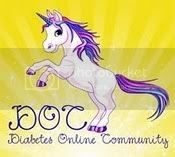 Who’s on your support team: My hubby, my sister, my mother, my friends + family but most of all the diabetes online community, who get. it. all. Do you think there will be a cure in your lifetime: No. I’ve sadly given up any hope of a cure while I’m alive. The most annoying thing people say to you about your diabetes is: When I went on the pump, a few people said to me “oh you have it that bad?”. No actually, that’s not what that means. What is the most common misconception about diabetes: There is a general misconception about diabetes ranging from the different types to what it’s like to manage it to what causes it. If you could say one thing to your pancreas, what would it be: Thanks for slacking off! How Good is a Good A1c? 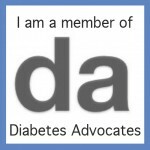 September 7, 2010 A1cStacey D.
Over the years my a1c was never “good”. I remember around my teen years it was around 10, probably higher at times. There were reasons it was that high but I’m not going to get into that now. When I started on the pump 3+ years ago and began religiously counting carbs I noticed a big difference in my bg readings. Not that I didn’t have any highs or lows but there were less of them and less big fluctuations. Yet every time I went to my endo and had an a1c done it was still always in the 7’s , sometimes at the high end of 7. A lot of my appointments ended with me in tears because I was actually working so hard on managing my bg yet my a1c wasn’t a reflection of my hard work. I never really got an answer from Dr. R on why I wasn’t getting results I expected. She told me that it was like math – you can have a B average by getting all B’s or by getting A’s and C’s. That kind of made sense but wasn’t comforting at all. I had a CGM but used it only now & then, when I wanted to get some trends. Then last summer I started using my CGM on a regular basis and here it is over a year later and I haven’t been longer than maybe a day without it. My last a1c done by my endo’s office was 6.8 in June. I had finally gotten an a1c under 7. After 28 years! I’ve also invested in some of the Bayer A1c Now Selfcheck kits to get an idea where I am in between endo vists. I took one of those tests on the same day as my last endo visit and got the same exact result. I’m not saying they are 100% accurate but that comparison increased my confidence in them. A lot. I took another self test last week and could not believe my eyes. Could it really be that it was my lowest a1c ever? Even if it was off by a little bit that would still mean that I am running in the low 6’s. Still the best I’ve ever had. I personally believe the CGM has a lot to do with the improvement of my bg management. But I’ve also been having a lot of lows in recent weeks. And I believe that is a big reason for the lower a1c. Although I am extremely pleased with a 6.0, I’m not extremely pleased that it means I’m having many lows. So is there a line between an a1c that is within recommended levels and one that is the result of too many hypoglycemic episodes? Is it okay for me to have a recommended a1c even if it means I’m having low blood glucose levels once or more per day? We all know that a lower a1c means less of a chance of complications right? But how low should that number really be? I think this is something I’m going to be discussing with my new endo in a couple of weeks. 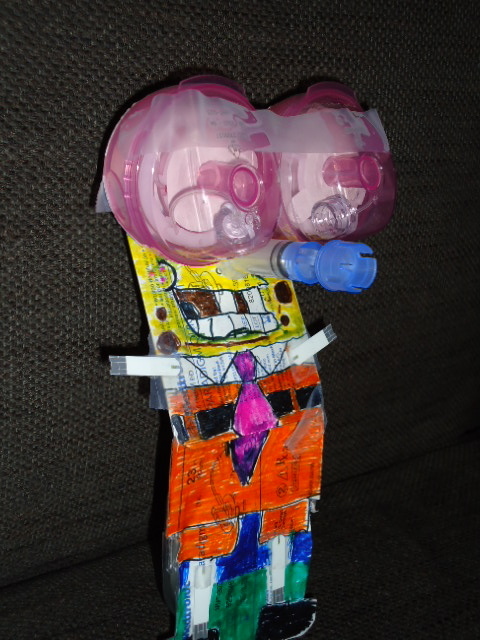 September 1, 2010 CommunityStacey D.
And I am now introducing, SpongeBob Pump Pants!! !